100% of our exclusive JOY Cotton batting. Our starter futon mattress. A great value leader, easy to step up from. Used Primarily on starter Tri-Folds. Love Ottoman: 54" x 21"
With one 2" layer of 1.2 density foam and JOY® cotton batting. Twin Split: 39" x 54"
Bringing Together Cotton and Wool. 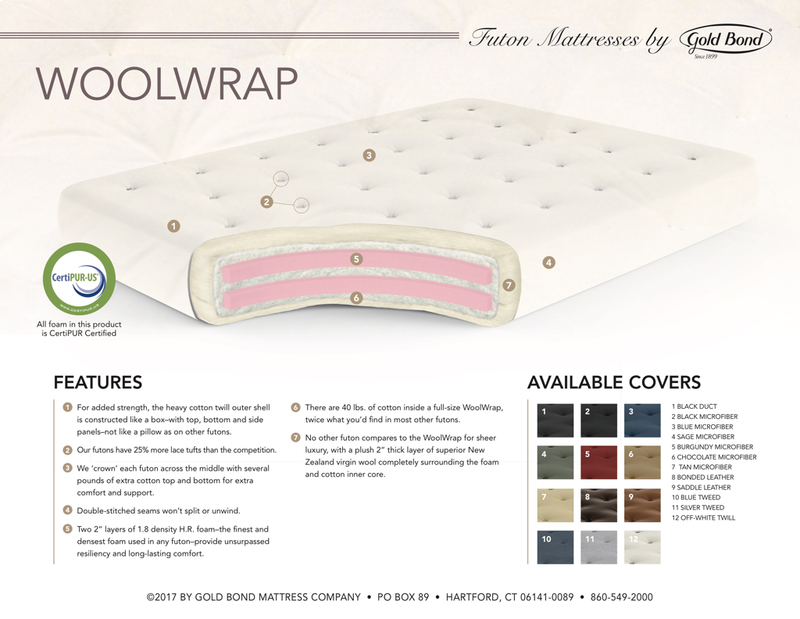 The Woolwrap futon mattress Features 50 lbs. of cotton combined with superior New Zealand Virgin wool. Chosen specifically for durability, wool is the most resilient natural fiber and perfect for use in mattresses. Its tightly interlocking curls and strength enhance the longevity of the mattress, while its soft, springy fibers trap air within- making it an efficient insulator. The wool encapsulates two 1.5" layers of supportive high density foam and a dense cotton core designed to provide outstanding comfort. This mattress is best suited for Bi-Folds and Platforms beds. The wool wrap has a solid feel and is ideal for people who enjoy sleeping on a firmer mattress. 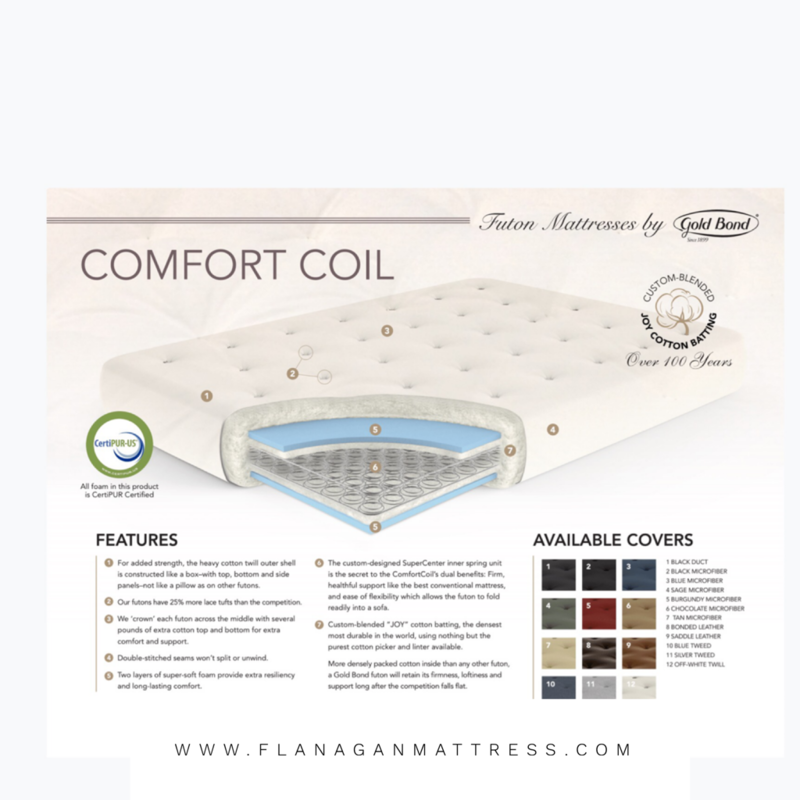 Engineered with our exclusive SuperCenter innerspring unit to provide firm, restful support while folding effortlessly in half, the ComfortCoil is the ideal futon mattress by day or night. 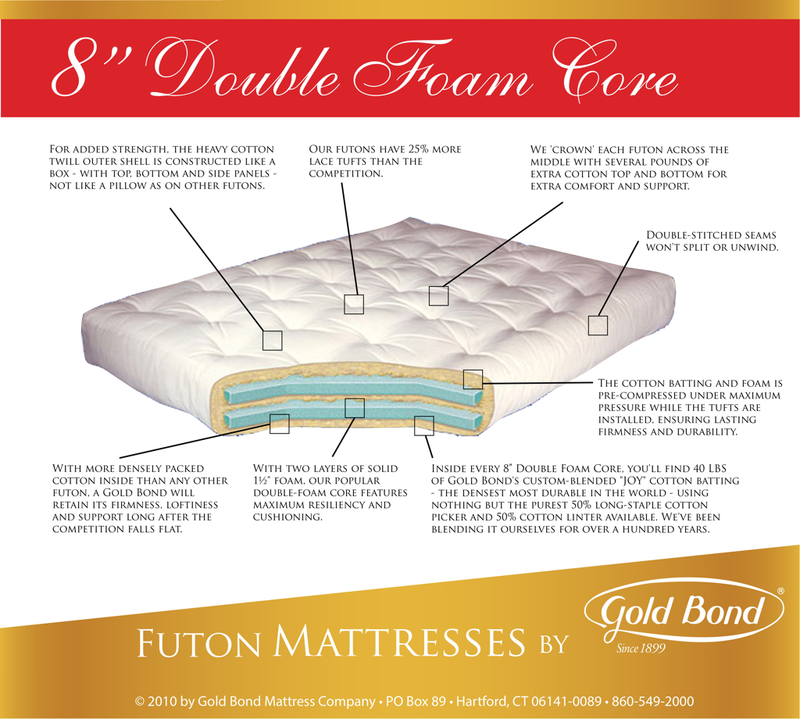 A blend of cotton batting coupled with two layers of super-soft foam ensure that the ComfortCoil lives up to its name. Today's best innerspring futon value. Innovative SuperCenter Innerspring Unit allows the Comfort Coil to fold easily, yet provide firm, healthful support. 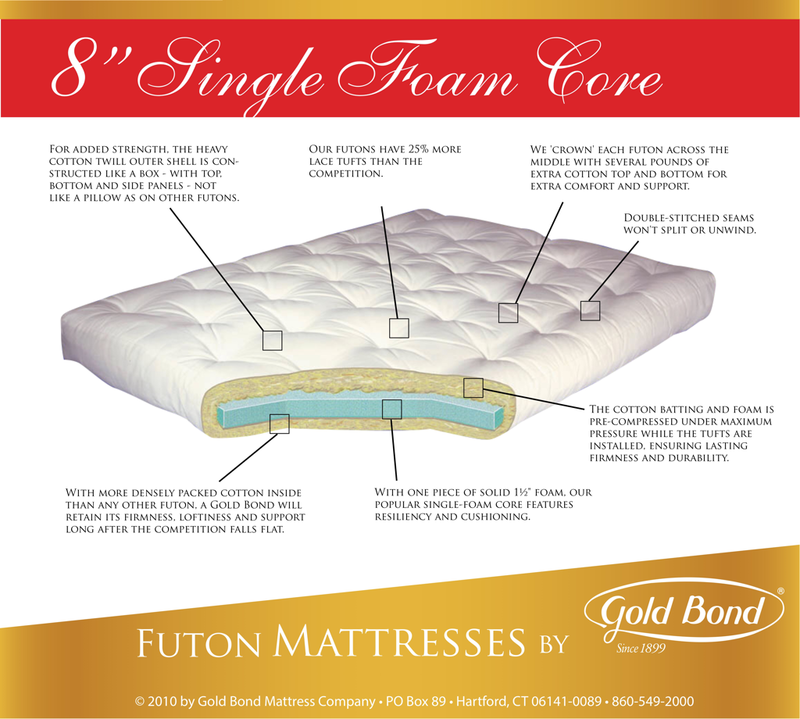 With two layers of super-soft foam and JOY® cotton batting. Custom-designed, its SuperCenter Innerspring core unit has two rows of barrel-shaped coils to enhance the mattress' durability. 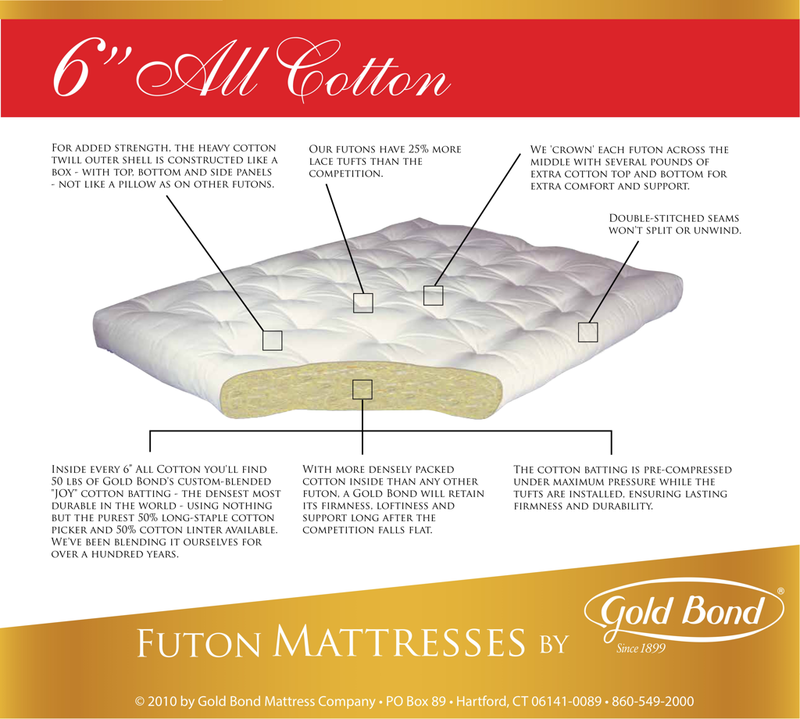 Since they retain their shape longer than the conventional coils, barrel-shaped coils are ideal for futons because they allow for easy folding without compromising the life of the mattress. This center zone is the secret to the ComfortCoil's dual benefits: firm, comfortable support like the best conventional mattress, and ease of flexibility that allows the futon to fold readily into a sofa.